Cobble patio with capped garden wall. 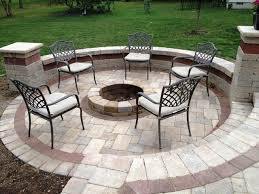 Firepit for cozy evenings. Capped retaining wall with steps to patio. Feature garden wall with pillar accents. 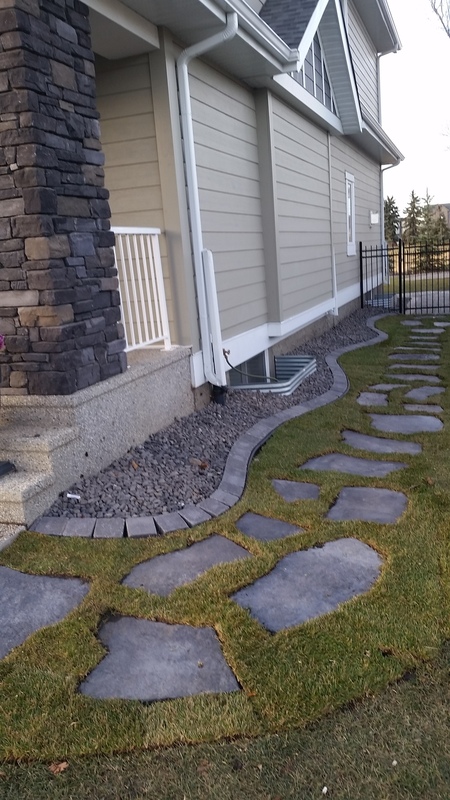 Barkman Rosetts Grand Flagstone patio.